Originally, they were heavy duty packing clips for skis. Ugly, unwanted and non recyclable. I'm on a mission to save them from the landfill. At last count, I had 123 left to use up. Here's an update! 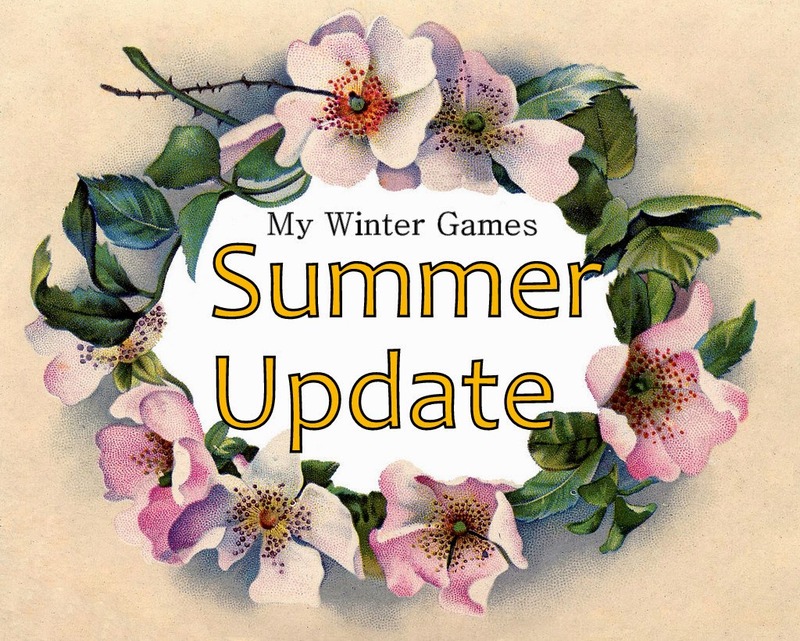 After I declared the games over for the season (really, we were just on a break), I mailed out 48 of the clips to readers and fellow bloggers who requested some. That left 75 to go. Seventy-five!? Boy, that still sounded like a lot. But I was game, and the next couple of posts will show if I made any more progress. In today's upcycle, I have finally gotten around to what everybody (including me) was wondering. Could I possibly make jewelry from these clunky critters? Um...I think I sort of pulled it off! Look! Statement bar bracelets! I was skeptical, believe me - but I have worn them out in the world, and find them way comfier and more wearable than expected. They're too wide to fit a smaller person - but on my big bones, they really do sit perfectly across the top of my wrist. I had worried they might always be sliding around to hang upside down, but nope! They don't even slip sideways. The construction was pretty simple. I just used headpins to attach the focal piece and a bit of chunky chain. Added a clasp to one chain end and...bing! Seventy two to go. Will I make it to the bitter end? Stay tuned. You're just too clever! Love them, especially the one with the faucet knob accented by the sweet little flower. Mine are still waiting for inspiration to hit. Wow. All of them are so retro lovely. How did you add the chain and how wide is the doohickey? Sell these babies on Esty! I love it, especially the one with the faucet knob thingy. These would also be fun on a handbag. I have a cool idea for you. Take three and make a "snowflake" or "star" for an ornament for a present or for your XMAS tree (topper or ornament). Sounds so cool to me and adorn the middle like these. I don't care what Tyler says, it would be a beautiful and unique snowflake! Neat. I like the one with the black rose, and the last one with white flower. See some steam punk going on there! I have complete faith that you will make it to the end! I like the one with the metal faucet handle on it! I still have mine in my craft room.....waiting to start my own winter games! Thank you! They look so weird... and so cool at the same time! Love the big flower sticking in all directions... and you had me with the last one and the old and worn metal ;) How about weird (ehm... artistic!) hairpins/decorations? Super pretty! really its fun seeing all these pretty creation..
What a beautiful and creative gift. And, it looks so easy to make.